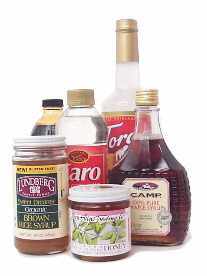 liquid sweeteners Notes: This category includes various syrups, honey, and molasses. 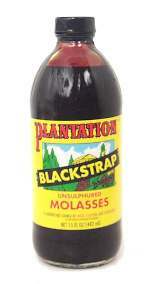 blackstrap molasses = black strap molasses Notes: This has a strong, bitter flavor, and it's not very sweet. It's sometimes used to make chili. Look for it in health food stores. mint syrup To make your own: See the Mint Syrup recipe on CooksRecipes.com. orgeat = orzata = almond syrup Pronunciation: OR-zhat Notes: This sweet almond-flavored syrup is used in many mixed drinks. Look for it in liquor stores. To make your own: See the Almond Syrup recipe on the ichef website. 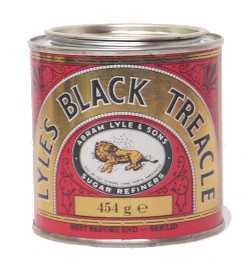 simple syrup = sugar syrup Notes: This is a mixture of sugar and water that's brought to a boil and simmered for about five minutes so that the sugar dissolves and the mixture becomes syrupy. When it cools, it's used to make mixed drinks, liqueurs, baked goods, sorbets, sauces, and many other things. 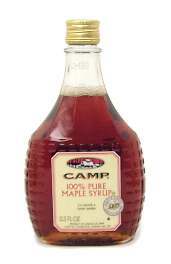 The thickness of the syrup depends upon the ratio of sugar to water used. Many simple syrup recipes call for equal parts sugar and water. 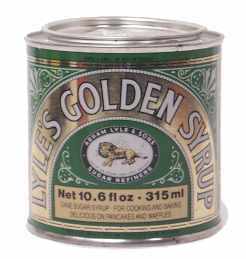 For a thinner syrup, combine two parts water with one part sugar. Rock candy syrup, a heavy syrup used to make some liqueurs and mixed drinks, is made with two parts sugar and one part water. violet syrup To make your own: See the recipe for Violet Syrup on RecipeSource. Torani has a good site with innovative ideas for using its syrups. For information on using sweeteners in baked goods, visit the Functions of Baking Ingredients page.